Some car numbers are truly legendary. But they don’t become the stuff of legends by themselves. They’ve been driven to incredible finishes and heart-pounding wins by the best drivers in NASCAR®. Legions of fans have celebrated the highs and cheered on through the lows, building a collective memory that stays with the car number for years to come. Now the legendary No. 24 driven by the great Jeff Gordon will have a new driver in 2018. Rising star William Byron will carry on the car number’s amazing legacy when he gets behind the wheel of the No. 24 Axalta Chevrolet Camaro ZL1 in 2018. To celebrate this important milestone for the famous No. 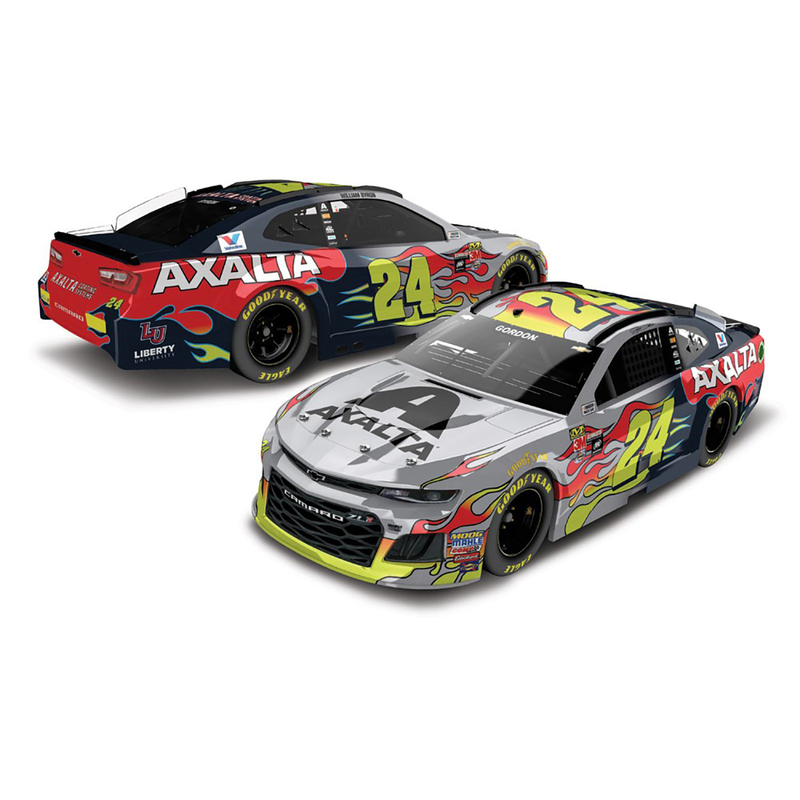 24, Lionel Racing is excited to offer a commemorative #24EVER die-cast that combines Gordon’s final paint scheme with Byron’s first. This fantasy die-cast is available in both 1:24 and 1:64 scales and is available on Lionel Racing’s all-new Chevrolet Camaro ZL1 tool. It’s a collectible showpiece that No. 24 fans won’t want to miss. Order now!